With the NSW election upon us, I believe we’re choosing between two parties – one that has a proven track record in keeping their promises, and one that doesn’t. 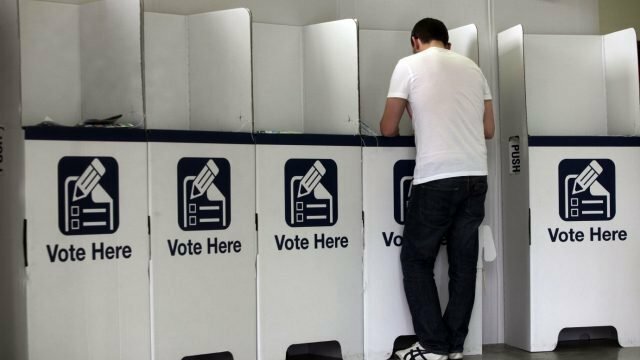 In the upcoming NSW State Election there’s a strong case for responding to performance rather than being swayed by promises or politics. Ministers in the last NSW Labor state government announced the launch of the North-West Metro a number of times but each time it headed South. The NSW Coalition government promised it once only and it will start carrying passengers shortly. The Labor government promised twelve new rail lines and published nine transport masterplans. They subsequently delivered the Parramatta line from Chatswood that never made it past Epping and they spent half a billion on the CBD-Rozelle Metro that ended up going in the same direction as their North-West Metro. The current state government has forty-five $100 million+ major transport projects in progress and the South-West rail line, the Inner-West rail line, the Newcastle light rail and the B-Line bus service are already in service making life much easier for the NSW travelling public. Furthermore there are 2,000 kilometres of new and upgraded roads making driving much easier as well. From a strictly apolitical perspective voters could well discern a developing pattern of promises kept on the one side and abrogated on the other. In the current social environment, any government that embarks on major infrastructure development needs special reserves of intestinal fortitude. It is bound to cause outrage in some sectors of the community that will inevitably spread like wildfire to the opposition, the media and special interest groups. The NSW state governments that oversaw the development of national icons like the Opera House and the Harbour Bridge suffered abundant criticism and perhaps never got the glory they deserved. These historic projects were neither universally supported nor easily delivered. The unprecedented programme of infrastructure development resolutely yet successfully undertaken by the current NSW Government deserves recognition as both a significant promise kept and an invaluable contribution to the future of NSW. Notwithstanding council amalgamations, dog racing and a very uncertain and delayed light rail track down George Street, the NSW Coalition Government can demonstrate an overall track record of successful promise delivery that is already making a significant difference to people’s lives. Governments who keep promises like delivering the highest levels of employment and lowest electricity prices often stay in office. Those that don’t are prone to lose out to the lure of promises made by their opposition. The NSW Government has also made good on its promise to get rid of the deficit bequeathed by Labor and make a long term return to budget surplus. When it was voted from office, the last Labor state government had racked up considerable debt in delivering modest achievements while the Coalition government is currently delivering a strong surplus on the back of prodigious achievements. No government will ever be able to claim a perfect set of hospitals, schools or sports stadiums. Oppositions will always be able to point to individual cases of under-spending, over-spending or ill-advised spending and aggressively present them as systematic failures rather than exceptions that are far from the rule. The Sydney Football Stadium is politics but it’s not the crux of the matter. The decision facing voters at the upcoming NSW state election is “has the NSW government delivered on promises made at the last election and have they changed people’s lives for the better?”. Labor, on the other hand, is making a raft of promises for delivery by a leader who had extensive experience of breaking promises in a previous government. So the choice at this state election is to vote for the government that’s kept its promises or an opposition that traditionally hasn’t but is making lots more of them in the hope that politics will prevail.